top 20 metros for livability and economic prosperity. The Malaysian government has big plans for its capital, Kuala Lumpur. KL Metropolis, now under construction, will redefine Kuala Lumpur’s role as a meeting, exhibition and convention destination. Image courtesy of NAZA TTDI Sdn. Bhd. alaysia's capital of Kuala Lumpur has a key role to play in the successful implementation of the 10th Malaysia Plan, the government's blueprint for making the country an effective competitor for global capital investment in high-income industry sectors. The Plan identifies 12 National Key Economic Areas (NKEAs) with the potential to produce high incomes and generate sustainable competitiveness on a global scale. Kuala Lumpur is the only city on the list of NKEAs, which consists primarily of industry sectors — oil and gas, financial services and ICT, for example. The goal is to make Kuala Lumpur one of the top 20 cities globally in livability and economic growth by 2020; the government is investing 1 billion Malaysian ringgit (US$300 million) in the effort. Part of that investment is the creation of InvestKL, a government entity formed in July 2011 to lead efforts to attract regional headquarters, operations centers and other facilities of multinational corporations. Its focus is to attract 100 major investments from Fortune 500 and Forbes Global 2000 companies by 2020. The agency facilitates access to information on incentives specific to operations and industry sectors, among other resources, and makes the case to investors that a Kuala Lumpur/Klang Valley location will deliver the work force and infrastructure assets they require. "We are here for investors at any stage of their investment process," says Zainal Amanshah, chief executive officer of InvestKL. "We offer customized investment services — free of charge. You want a business strategy? We will work with you to formulate the plan for Greater KL/Klang Valley and also for Asia. Need assistance with incentives and dealing with the regulatory bodies? We will source the right incentives for you, and expedite approvals with government agencies. In addition," he adds, "we offer talent management programs, Greater KL/Klang Valley familiarization programs and relocation services. We also provide post-investment services, based on investors' requirements." The case for Kuala Lumpur, already home to regional operations of such MNCs as GlaxoSmithKline, Nokia, Nestle and BMW among others, includes several points. Among them are attractive business costs, a multilingual and well-educated work force, a strategic location in the center of Southeast Asia, a politically stable and pro-business marketplace and infrastructure that includes state-of-the-art air, rail, road and seaport infrastructure. "Greater KL has a really strong business proposition," says Zainal. 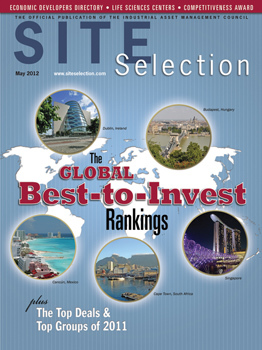 "We are located right at the center of high-growth Asian markets. Investors get US$440 billion in opportunities. They get access to a market of more than 600 million people with GDP estimated to top $2 trillion dollars in 2011." Doing business in Malaysia is getting easier, too, he points out. "In the World Bank's Report on Doing Business 2012, Malaysia improved five positions to 18th from 23rd in 2011 amongst 183 economies in Ease of Doing Business. For example, we are eliminating or simplifying more than 400 licenses while simplifying others before making them available online." Kuala Lumpur, meanwhile, is preparing a rich menu of development projects that will add significantly to the capital city's allure to multinationals. CEO of Malaysia Property Inc., a public-private entity set up by the government's Economic Planning Unit and administered by six government agencies, including the Ministry of International Trade and Industry, the Malaysian Investment Development Authority (MIDA) and MATRADE (Malaysia External Trade Development Corp). "These projects will require investment of US$8 billion to $10 billion in the city alone through 2020," he points out, ranging from river beautification to a 3,300-acre Rubber Research Institute Development to the KL Eco City and KL Metropolis mixed-used developments, to name a few. Kuala Lumpur will compete with cities in the region and worldwide as a greener and more attractive metro in which to base corporate operations. "Some in Malaysia like to go and see what Singapore has done," says the Malaysia Property Inc. CEO, "but I like to tell them that Singapore cleverly places greenery around the concrete, which looks very nice. But we have so much green here, you don't see the concrete — ours is natural." Kuala Lumpur has world-class conference facilities in the Kuala Lumpur Convention Centre on a 100-acre site in the City Centre district adjacent to the signature Petronas Twin Towers complex. But KL Metropolis will add a new dimension to the city's meetings, incentives, conferences and exhibitions (MICE) industry when the 1-million-sq.-ft. MATRADE exhibition center — the largest in Malaysia — opens in 2014. In addition to this centerpiece project, KL Metropolis will include hotels (1,000-plus rooms), office towers (one will be in the vicinity of 100 stories, depending on market conditions at the time it gets under way), retail (2.5 million sq. ft.) and residential complexes on a 75-acre site in central Kuala Lumpur that is in a less congested location than the central business and KL Sentral districts. Adjacent to this new site is the existing MATRADE Headquarters and Courts Complex as well as the MITI Headquarters. KL Metropolis, launched in October 2011, will encourage pedestrian access to all components and will be linked to the city's rapid transit and highway networks. It is important for the location to be close to the city center but not in the midst of city congestion, and the site will deliver on that requirement. Just as importantly, it will deliver the ability of Kuala Lumpur to attract a scale of exhibition activity that previously was just outside its grasp. "It opens up new markets for Kuala Lumpur and for Malaysia in the MICE sector," says Ahmad Shakiran Amir Hamzah, senior executive, planning & product development at Naza TTDI Sdn. Bhd., developer of KL Metropolis. This Investment Profile was prepared under the auspices of InvestKL. For more information, visit investkl.gov.my.